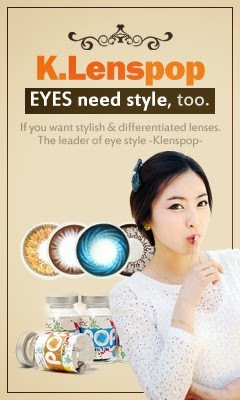 K.Lenspop is a korean onlineshop, which sells stylish Circle Lenses & Clear Contact Lenses. The prices are really fair and the colours are pretty awesome *3* Check them out! 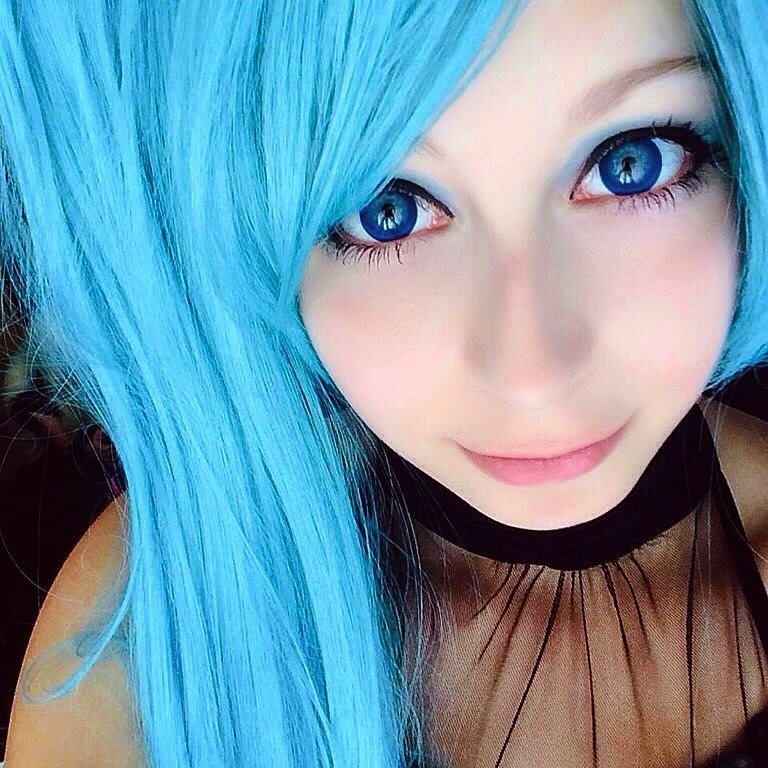 Ich habe wieder neue Onlineshops für euch, heute sind es 2 Circle Lenses Shops, welche mich sponsern werden! 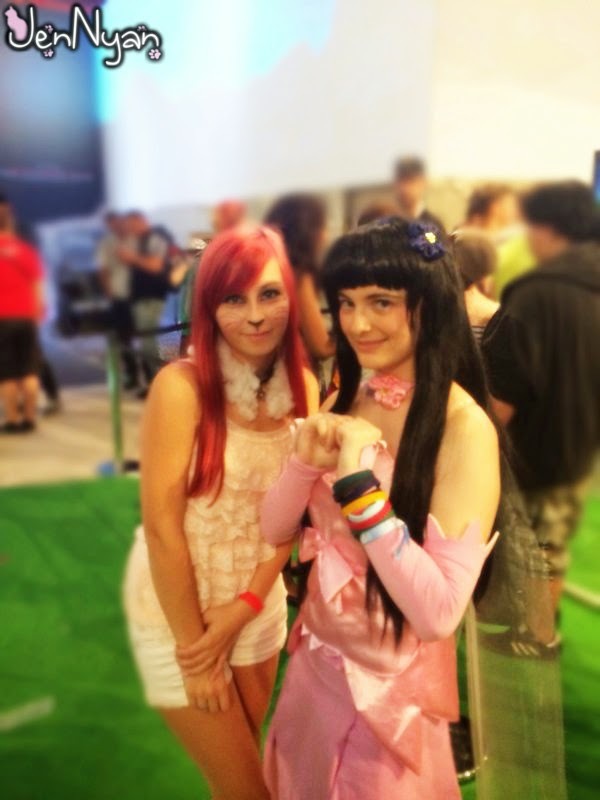 Uwaaah *~* CosplaySky, an awesome cosplayshop from Germany is going to sponsor me!! 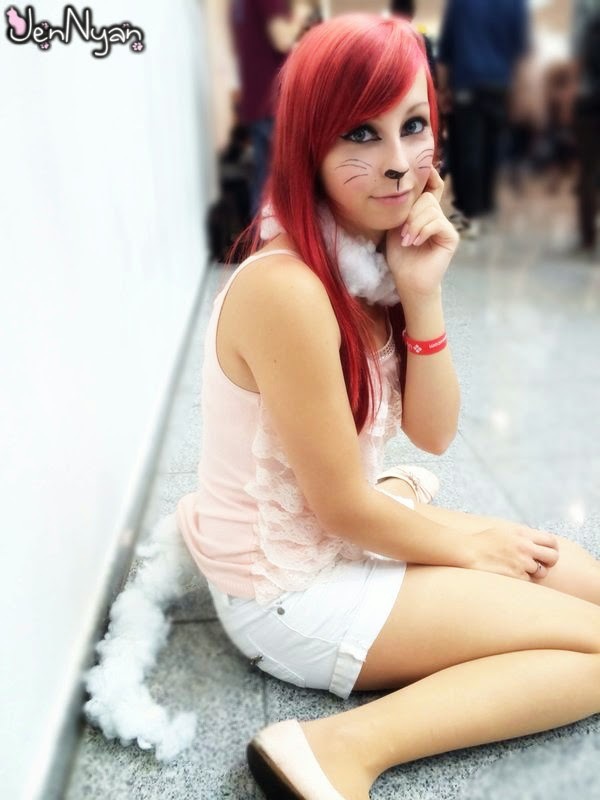 CosplaySky sells over 100+ awesome costumes, wigs, shoes, Gothicclothing, etc. out of Animes, games, etc. When my cosplay arrived, I'll take great photos with my photograph Happy Berry Photography and make good reviews for you! Gute Neuigkeiten!! 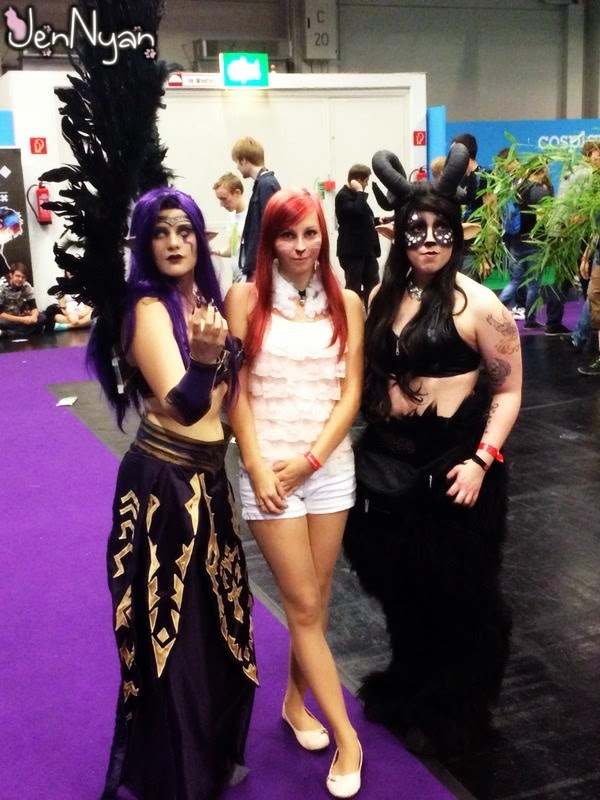 CosplaySky, ein verdammt toller Cosplayshop auf Deutschland wird mich sponsern! Ich bin sehr, sehr glücklich darüber und werde auf jeden Fall tolle Reviews & Bilder für euch hinbekommen! 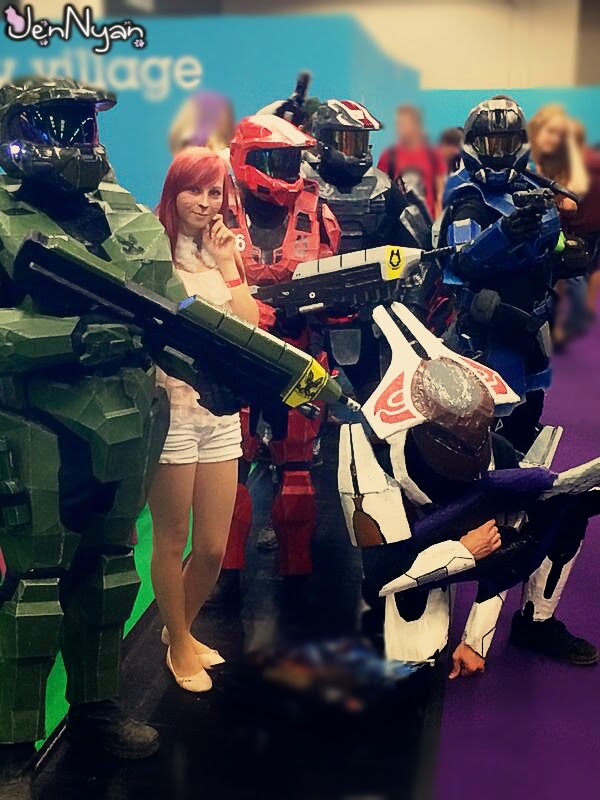 CosplaySky verkauft über 100+ Kostüme, Perücken, Schuhe, Gothickleidung, usw. aus Animes, Spielen, und vielem mehr. I want to introduce you UNIQSO! 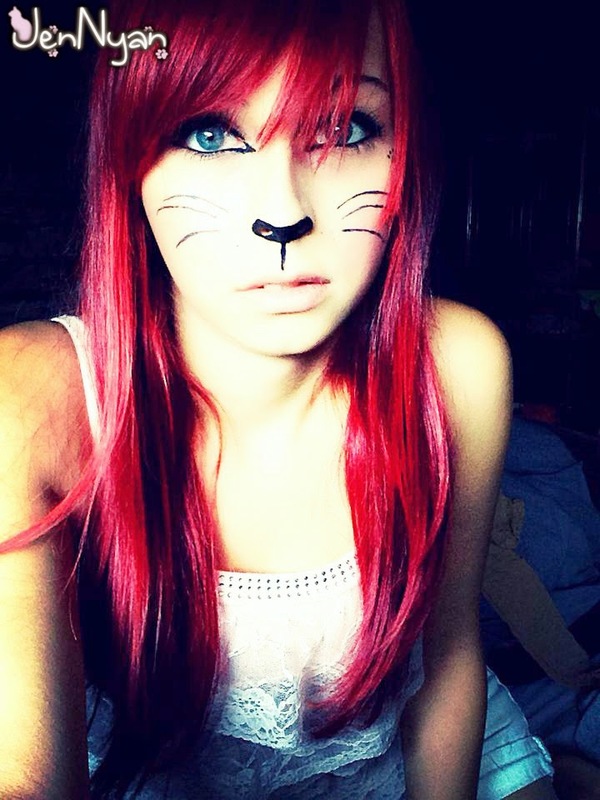 UNIQSO is a super onlineshop, which is selling Circle Lenses, Wigs, Skincare, Eyecare, etc. You can also send gifts to your love ones! They have fast delivery and very fair prices, I also got a 10% discountcoupon for you at the end of the post. Every item is high quality and super comfortable, I also did read many reviews about them, they're really great. 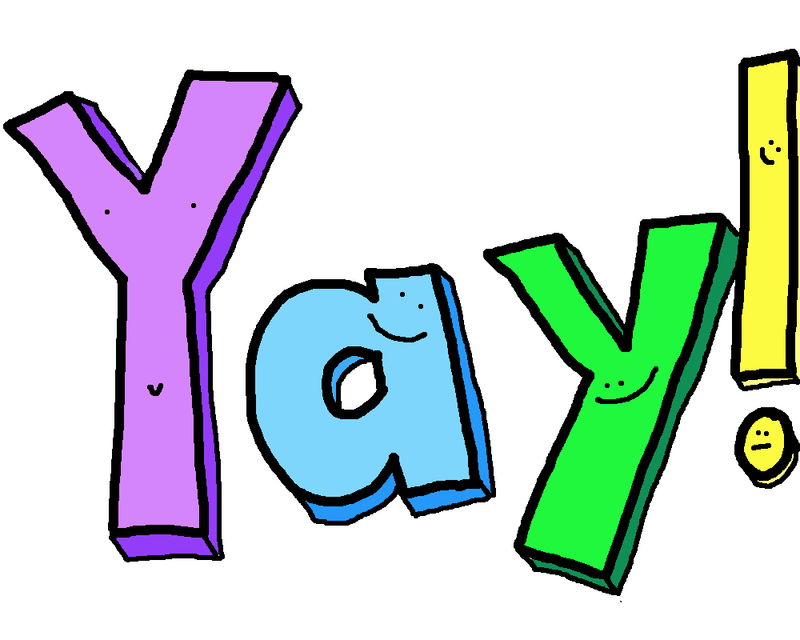 I hope you'll take a look at this super awesome shop >o< !! Use my 10% couponcode! 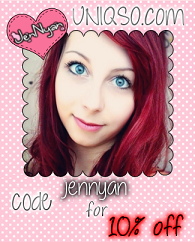 "jennyan"
Das bedeutet, ich werde supertolle Kontaktlinsen, Perücken, usw. bekommen und sie dann auf meinem Blog, auf Facebook, und wahrscheinlich auf YouTube für euch bewerten! 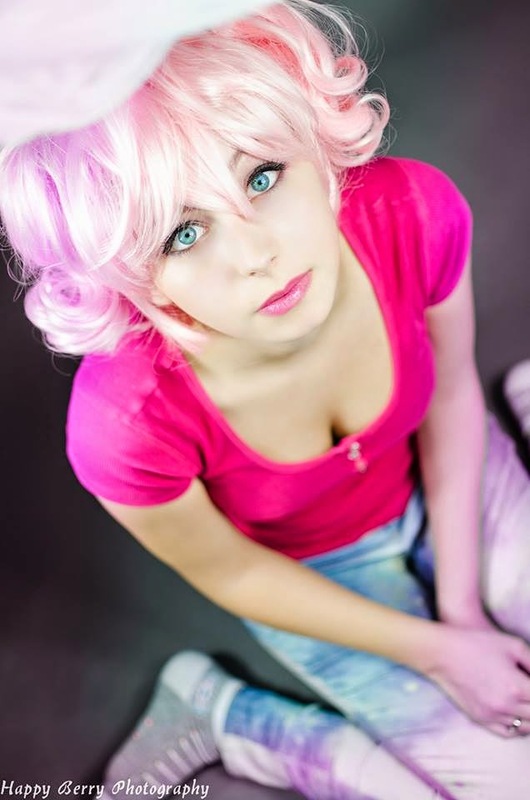 UNIQSO ist ein super Onlineshop, werlcher Circle Lenses, Perücken, Makeup, usw. verkauft. 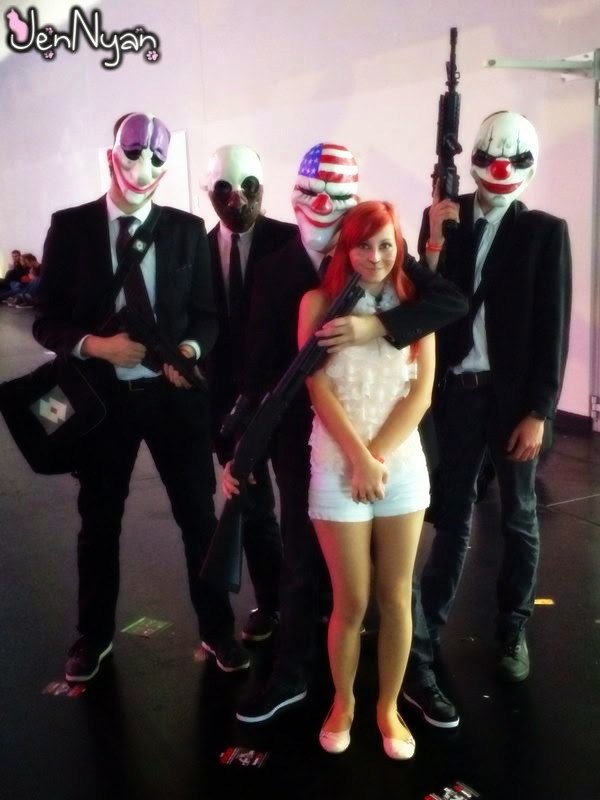 Die Lieferung ist schnell und es sind wirklich faire Preise, ich habe auch für euch einen 10% Rabattcode für euch am Ende des Beitrages. Jedes Produkt ist von hoher Qualität und super zu tragen, ich laß viele Bewertungen darüber, sie sind wirklich toll. Ich hoffe wirklich, dass ihr mal dort vorbeischaut! ._. Even if I said it felt like straw on my head, it was very comfortable to wear. You can use regular hairspray for styling, I prefer Got2Be, because they are stronger than others, but on this wig you don't have to put hairspray on the curls, because they are already solid. You can also wash the wig, there are plenty of tutorials on the internet, I'll do one later. 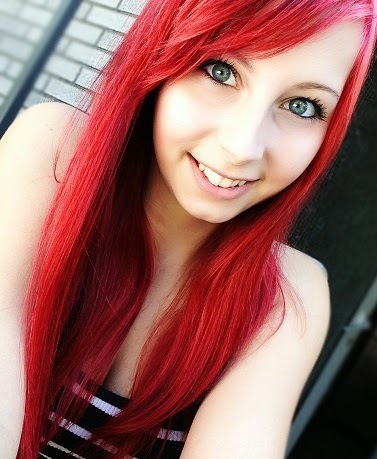 This wig belongs to a friend of me, but I would totally buy it. Wearing it feels very nice, the color and material is awesome! 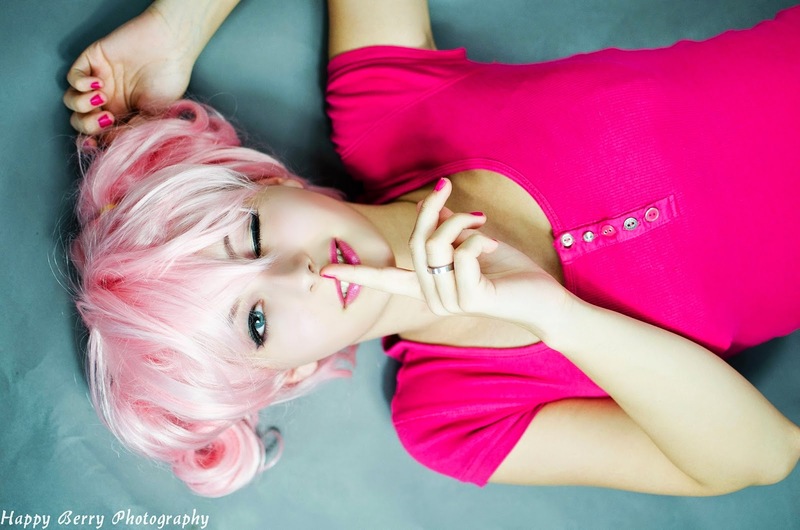 Also it's recommendable for the ones, who want to cosplay Madoka with straight or curly hair. Both ways are damn cute! Click on the pictures for a better view! Tokki-Haus just opened a few weeks ago. They're small yet, but still have awesome cosmetics for great prices. If they're growing, they'll get stuff like clothing, etc! Check it out! Okay, I think I just found one of the cutest Shops ever. 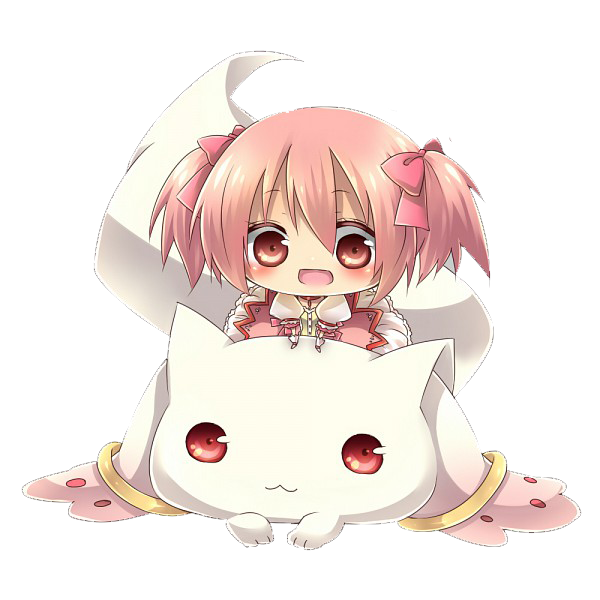 And when I say "cute" I mean "REALLY MEGA CUTE"! For everyone who is into the korean/japanese fashion or just love cute fashion, please take a look at this lovely shop. They've got dresses, wigs, skirts, shirts, tights, shoes, bikinis, hoodies, jeans, and, and, and.. So much more!! And even the prices are awesome. I'd like to buy the whole shop >3< I will definitely get some stuff from this shop, because.. I just have to wear that!! And you have to wear it also.. I will give you a 10% discount code! Tokki Haus hat erst vor ein paar Wochen eröffnet, heißt, sie sind noch ziemlich am Anfang, dafür haben sie aber trotzdem sehr tolle Artikel für gute Preise. Wenn sie mehr Käufer haben, werden sie viel mehr, wie zum Beispiel Kleidung hinzubekommen. Schaut mal vorbei! Okay, ich hab' gerade einen der niedlichsten Shops gefunden.. Und wenn ich "süß" sage, meine ich "WIRKLICH MEGA SÜß"! Für alle, die die koreanische/japanische Mode, oder einfach niedliche Klamotten lieben.. Schaut bitte vorbei! Es gibt Kleider, Perücken, Röcke, Shirts, Strumpfhosen, Schuhe, Bikinis, Pullis, Jeans, und einfach so viel mehr!! Und Du genauso.. Ich hab für Dich einen 10% Rabattcode!